OnePlus is certainly not the world's largest smartphone manufacturer (at least not yet), but that can often be an advantage, allowing the ambitious company to quickly free up resources for new devices as there are only a handful of old models to support at any given time. The small but fast-growing outfit can also pull off unusual feats sometimes as a consequence of its laser-focused product portfolio, like promising to deliver major software updates way beyond the traditional two-year mark for certain devices. 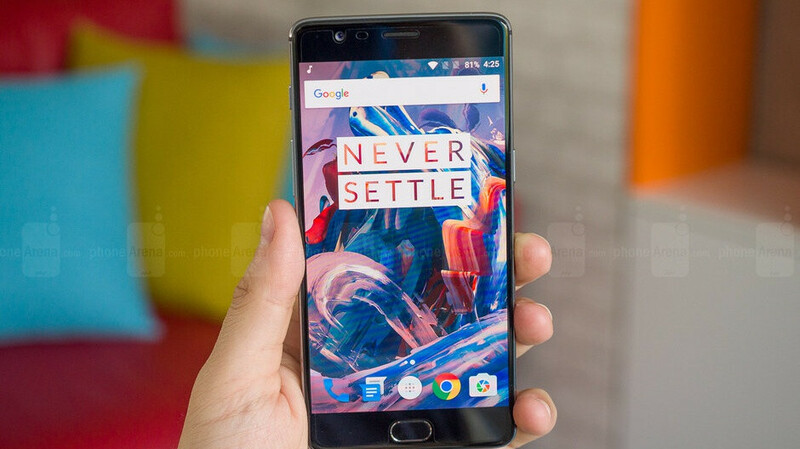 Such a promise was made for the OnePlus 3 and 3T roughly seven months ago, when the company decided to cancel the Android 8.1 promotion and focus instead on optimizing the latest OS build for two more phones than initially planned. But while it certainly didn't take long for the OnePlus 6 to follow the Essential Phone and Google Pixels on the Android Pie bandwagon, which the OnePlus 5 and 5T also boarded relatively quickly, there's still no word on when to expect the OP3 and 3T to do the same. For what it's worth, a OnePlus Community Manager reiterated earlier this week the company's promise to roll out Android 9.0 updates for its two 2016-released handsets, but first, one last Oreo-based security patch still needs to make its way over-the-air. No idea exactly when any of that might happen, although it sure sounds like the wait is far from over. It's also obvious now that those leaked screenshots purporting to show a OnePlus 3T running Pie in China are in fact fake, which is actually what prompted an official reaction from Community Manager David Y. The reaction included the aforementioned confirmation of one more Android O-based security update to be followed by a stable Pie delivery... one day, as well as a rather passive-aggressive remark about the futility of "chasing the update." In a way, we can understand the company's frustration at all the user impatience. After all, we're not aware of any other non-Pixel 2016 phones with official Android 9.0 makeovers in the pipeline. This is a rare and special thing OnePlus is trying to do, and that takes time. Fret not, 3 and 3T have a huge collection of custom ROM. I'm still rocking my OP3T on Havoc 9.0 OS and caesium Kernel. Gives me around 4-5 hrs of SOT too.